More about iittala Toikka Star of Raquel 2009 Annual Egg Called Raakelin Tähden in Finnish, or Star of Raquel, this is the 2009 annual egg. The unique look of the annual egg is the result of a serendipitous accident at the Nuutajarvi glass factory in Finland. The workers discovered that dirt from the molds left brown markings on the glass, marring the surface. Where the workers saw fault, Toikka saw opportunity. He decided to make these mysterious looking markings a part of his glass creations. 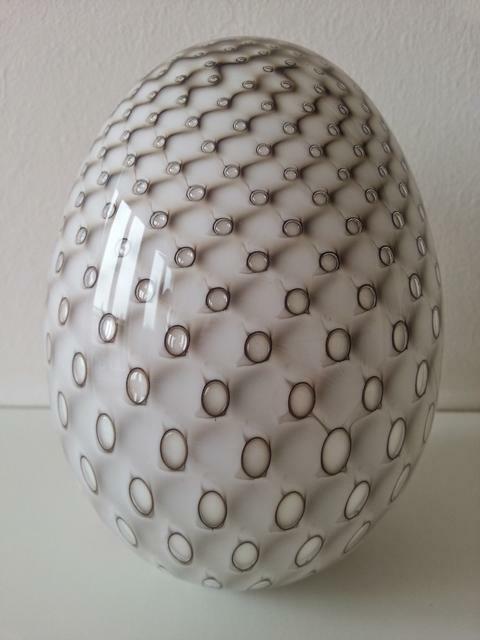 The pattern on the 2009 annual egg is achieved by placing flecks of dirt into a spikey mold. When the glass was removed from the mold, the dirt would run across the surface, leaving a delicate design. 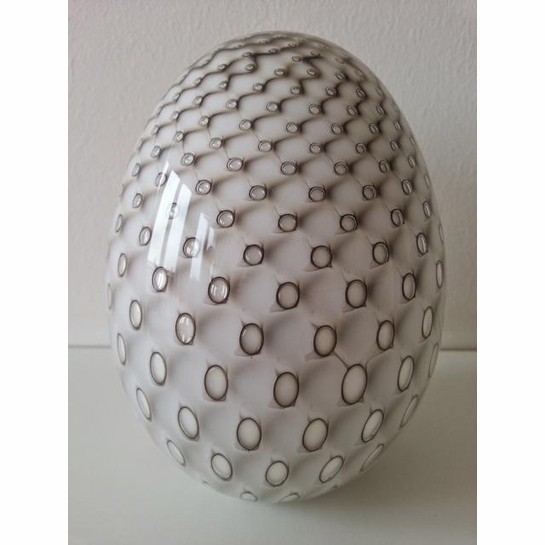 Beautiful and unusual, this egg is a truly original Toikka piece that you will treasure for years to come. Only 750 were produced, each numbered.